The Summit is one of the best resorts in Panama City Beach and is the perfect place to bring your family on vacation! Not only are there exciting activities onsite, but the Summit is located within walking distance of many strip malls, great restaurants, and amusement parks. There is fun for everyone! Watch the dolphins play from your own private balcony overlooking two large swimming pools(1 heated)as well as the beautiful white sand beaches of Panama City Beach. There is easy access to the beach from the pools. You will also find three very inviting hot tubs. Phone, Cable TV(BIG SCREEN), Pools, BRAND NEW INTERNET CAFE AND ICE CREAM SHOP!! The room was very dirty and had not been cleaned. The bed was made but the sheets had not been changed. Never again. Had to find another place to stay. Yes she is correct. They tried checking in earlier than the check in time. Our cleaning people had not yet made it to the condo to clean. I am sorry this happened however, it is important to either check in at the designated time, or if you would like to check in early, you must contact me first to confirm that our cleaning service has had time to clean. This was a great place to stay.The owner gave good communication on what to do about checking in and out. Would definitely stay again! Thank you so much for taking the time to review my condo! My family appreciates it! We had a great time at the Summitt, only issue was the elevators being crowded but is expected during July. The staff was great and attentive and the property was well kept. Would definitely stay here again. The condo was perfect for me and my daughters. 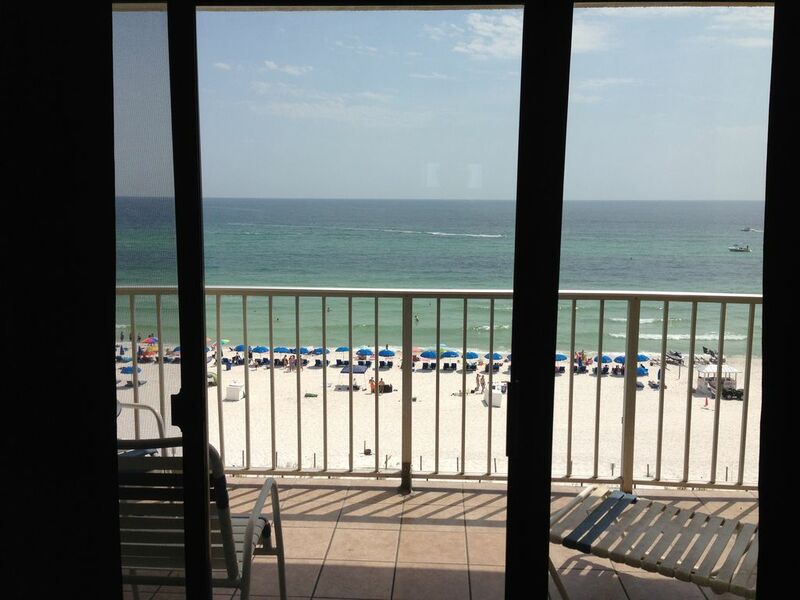 The condo was just what we were looking for when in PCB. We will be staying at Jeff's condo again. Thank you Shana for taking the time to submit a review. Thanks for renting with us! you name it, its got it!